The Friday Fun & Easy Landscape Challenge Apr. 6 – Apr. 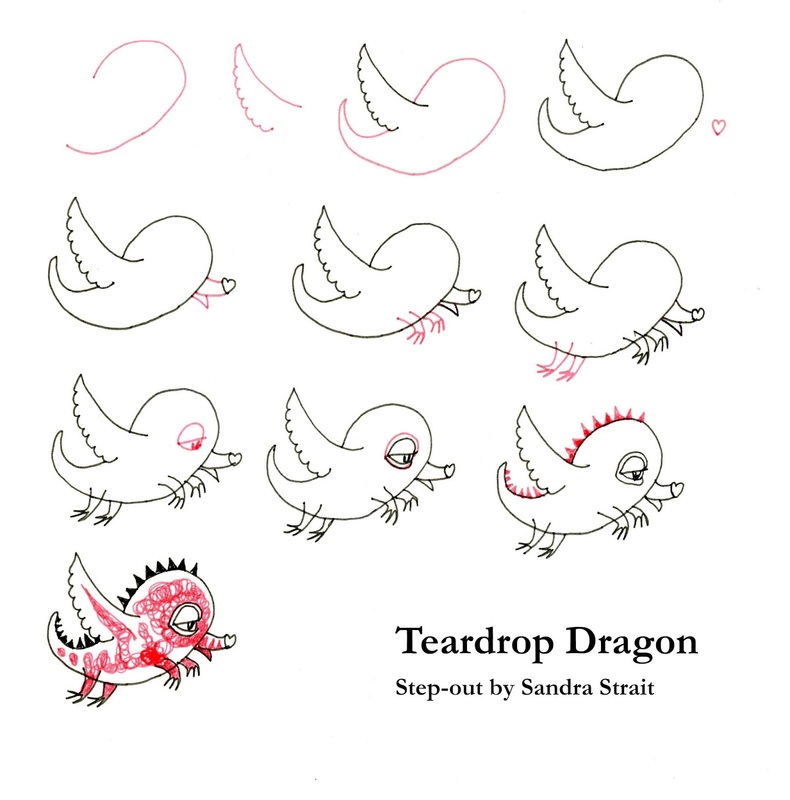 12: Draw a landscape using the Dragon Flies or Teardrop Dragon step-out. Extra calorie-free brownie points for using color in an abstract manner. Originally, I called this series ‘Fantasy Landscapes’, but changed it because so many people think of Fantasy as magical or mythical. It can be, but a fantasy can be anything you can dream of. Nonetheless, most of my step-outs are fun, but only a few are ‘fantastical’. This week I decided to dip into the mythological pool and do a couple of dragon step-outs. 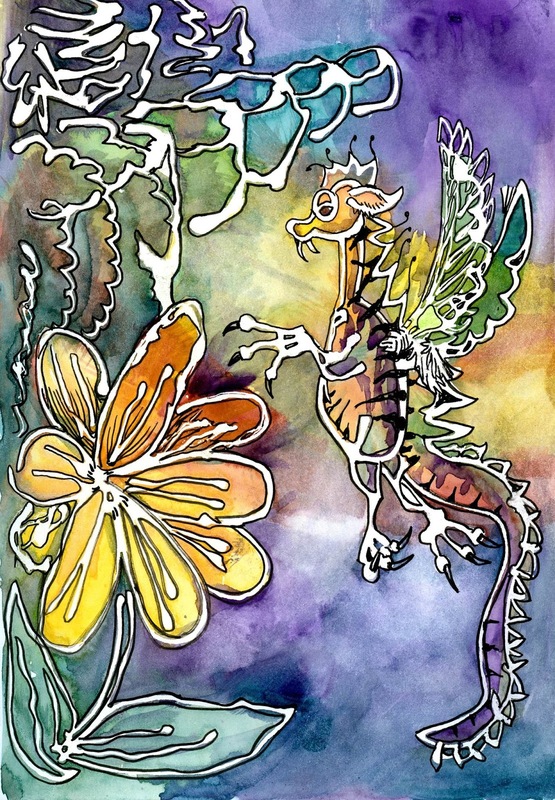 In my Fun & Easy Landscape dragons are tiny – I mean haven’t you ever heard of dragon flies? And then a more complex dragon. 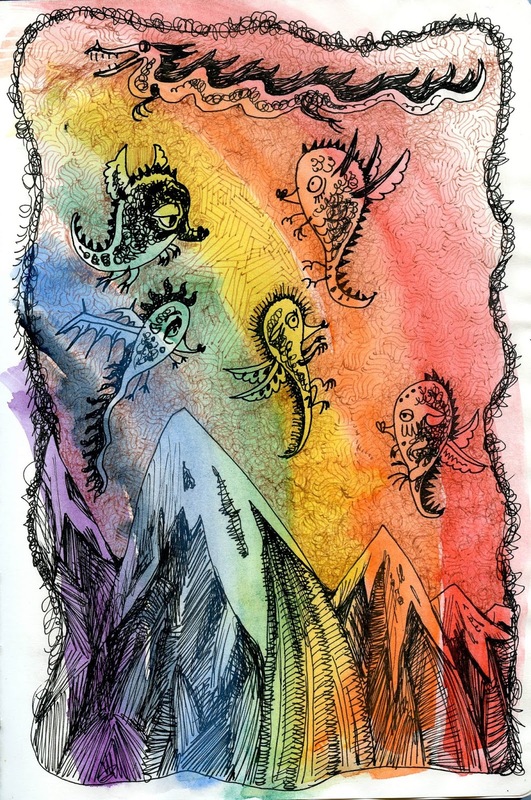 This example was done with Zebra Pen Zensations Brush pens and watercolor in a Hahnemühle Nostalgie Sketchbook. I was trying for a Sgraffito look, but my masking fluid applicator kept blobbing, so I had to do something different. 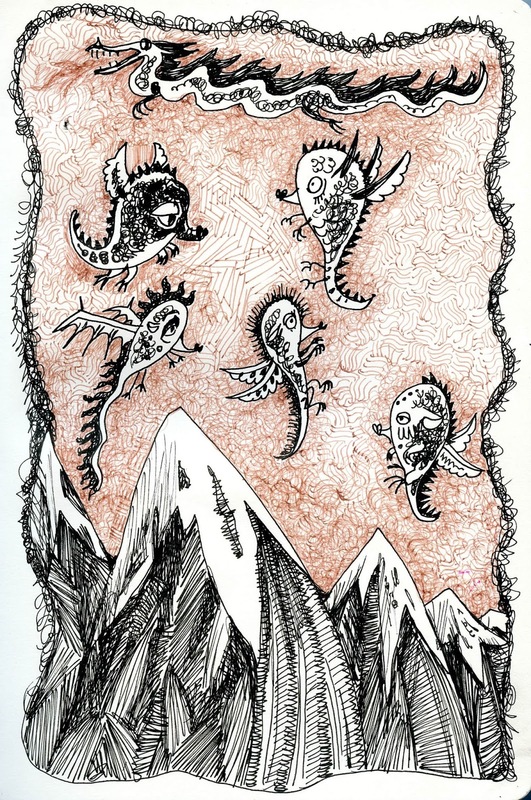 My dragon flies looks a bit more like a leafy sea dragon, but…hey! That’s unique! 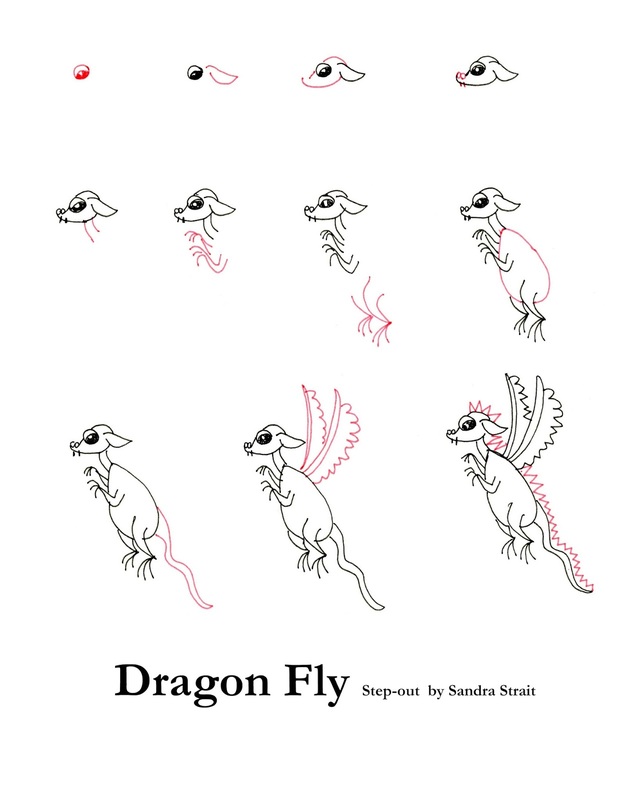 Notice that in this example, that the shape of my dragons changes, as do the wings and the eyes and… well, you get it. Play with all the bits and pieces and create your own unique dragon! I used Platinum Carbon Fountain Pens with black and sepia ink in a Leda Art Supply Perfect Premium Sketchbook. And in keeping with using abstract color, I decided to use watercolor to create a rainbow.